I am pretty sure that many of us have heard of the name E FUN before, as this is one company that introduced the Nextbook brand which has frankly grown by a few more models over the years. 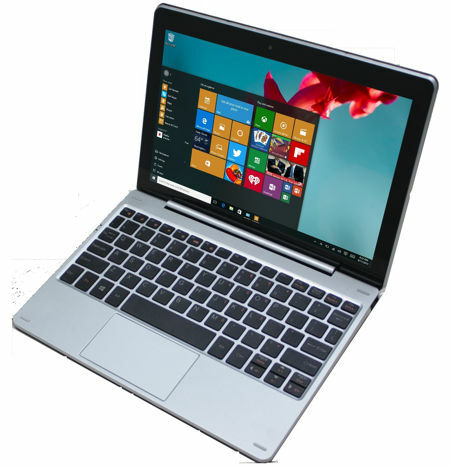 This time around, it has rolled out a spanking new Nextbook that comes with a detachable design, and the company has even marketed it as a gift that you can get for dad or graduates. In other words, the new E FUN Nextbook 10.1 2-in-1 tablet is worth checking out. As you can tell by its name, this Nextbook will come with a 10.1″ high resolution touch screen display, making it quite a decent size regardless of whether you are going to use it for work or if you are on a vacation – allowing the fathers as well as new graduates to enjoy movies while they are on the move without squinting their eyes, to groove to their favorite tunes, to take some time off and enjoy the latest gaming titles on a mobile platform, or to simply surf the web, and basically being able to get the job done wherever they are. This Nextbook 10.1″ 2-in-1 detachable tablet has also been touted to be an all-in-one compact electronic powerhouse, where it will be made available in Target. Cited to feature the utility of a laptop and the ease-of-use and flexibility of a tablet, it will arrive with the Windows Store and Office Mobile pre-installed, now how about that? This would translate to not having a limit to the amount of fun you can have or work you can get done. With Windows 10 as the operating system of choice, the 1280×800 IPS HD display would be ideal for reading, working, watching shows, and playing games, among others. It will be powered by a quad-core Intel Atom 5-Z8300 processor with 2GB of RAM, boasts of a detachable silver keyboard for portability and versatility, 32GB of internal memory, a microSD memory card slot, Bluetooth 4.0 and Wi-Fi connectivity, a 3.7V 7,000mAh Lithium battery that delivers up to 7 hours of general use, a Micro HDMI port that lets you hook it up to a larger TV screen, in addition to front and back facing cameras with microphone. The asking price for the new Nextbook 10.1 2-in-1 tablet would be $179.99 a pop.